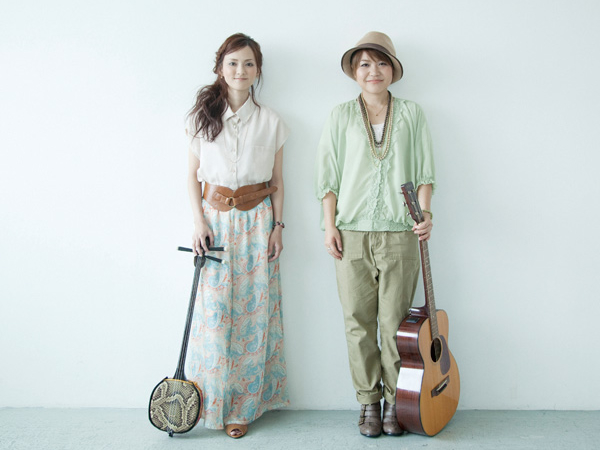 A Female duo group comprising vocalist/shamisen player Yuu Ishigaki and vocalist/guitarist Rio Aizato, childhood friends who grew up on Ishigaki Island (Okinawa Prefecture). Their timeless, heartwarming harmonies bring tears to the listener’s eyes. The two began writing songs together out of homesickness after they came to Tokyo leaving behind their families, friends and loved ones. The duo debuted in 2003 with the song “Aoi Takara” which was packed with countless emotions. The album “Uta Gusui” featuring the drama theme song “Haikei ○○ San”, “Ichigo Ichie” and more earned them a spot towards the top of the charts and national recognition. They’ve continued strong since with frequent live-show appearances and such hit releases as the cover album “Nagiuta” and their original album “Yukui Uta”.